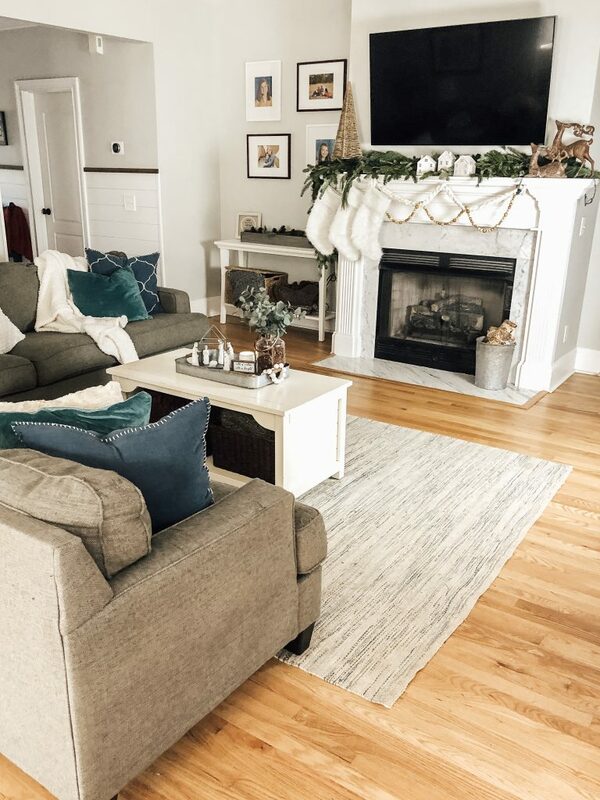 Holiday entertaining can be easy when you have a cozy home perfect for any occasion. When buying our current home, we needed one that would suit all of our needs. One of the major downfalls of our prior homes had to do with a lack of space to host gatherings. 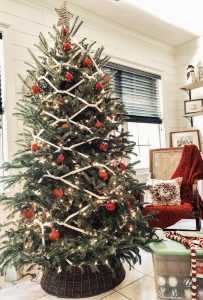 However, not only would our home need to be perfect for when we were entertaining, but one that was perfect long after the party was over. 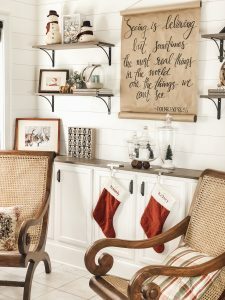 To figure out just what we needed in our next home, we made a list of our “must have” and our “nice to have” features. 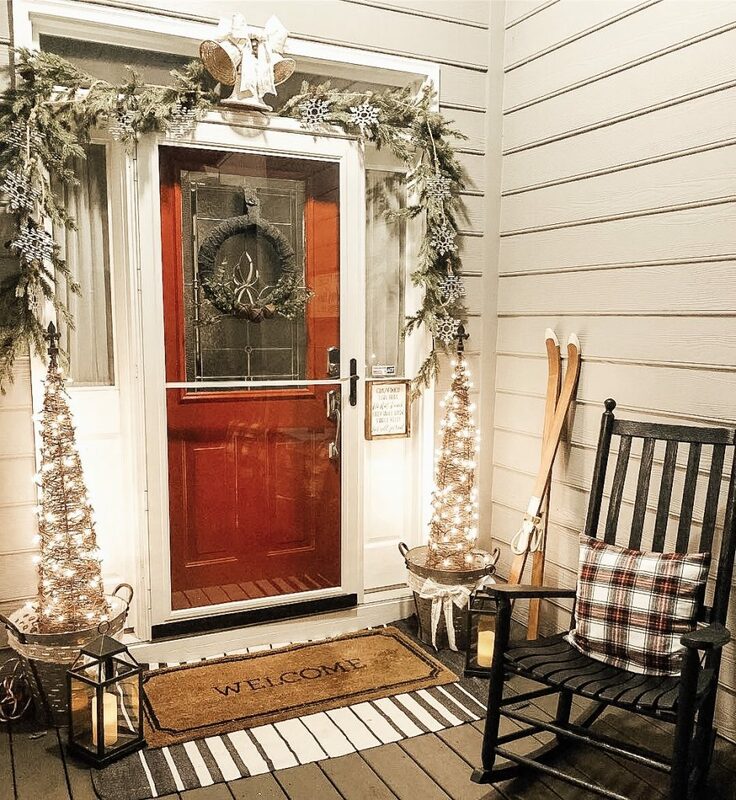 A red front door is a symbol for “welcome” and “safety” all that are important this holiday season. Homes.com has the only home search feature where you can search the homes in your area based on what you “must have” and would be “nice to have”. 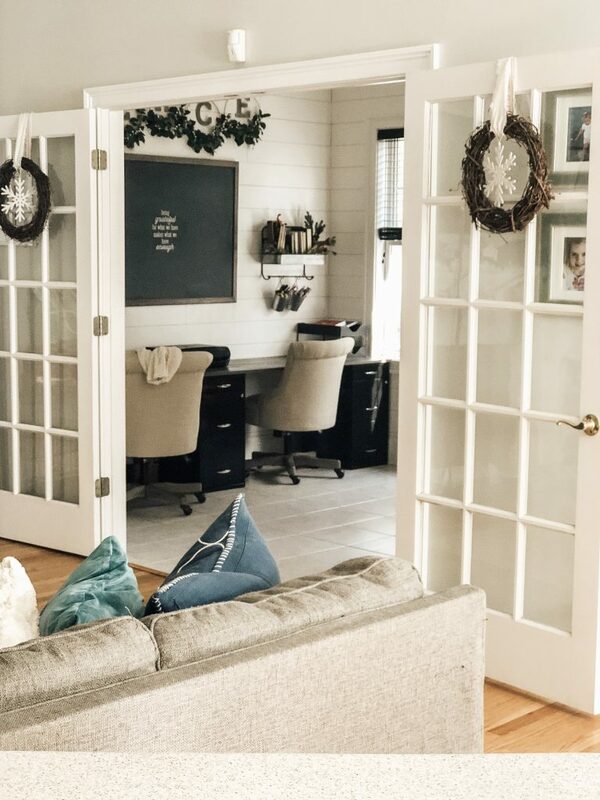 Recently Homes.com surveyed readers on what spaces they were thankful for, and the results reaffirmed why our home is perfect for us. We chose a home that had an open living space where the kitchen flowed into the eat in area and into the living room. We use furniture to define the space instead of walls, which makes it easier when we are entertaining guests. In previous homes no matter how hard we tried, many of our guests would hang out in the kitchen making it difficult for us to stay connected to everyone. The openness of the space is perfect for entertaining. 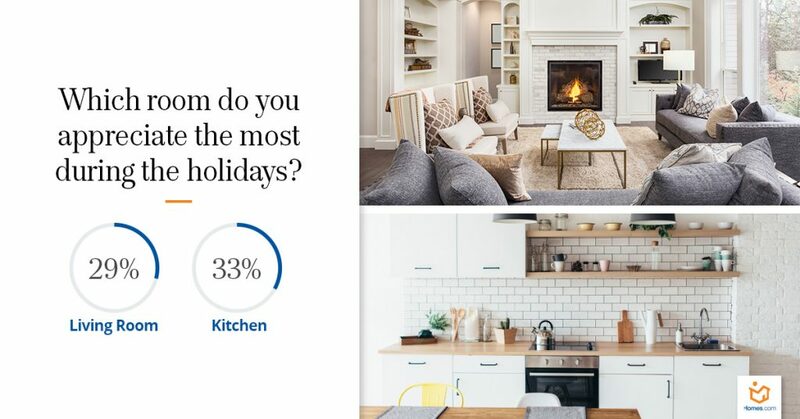 When Homes.com asked which room was appreciated during the holidays, the kitchen and the living room were almost neck and neck. 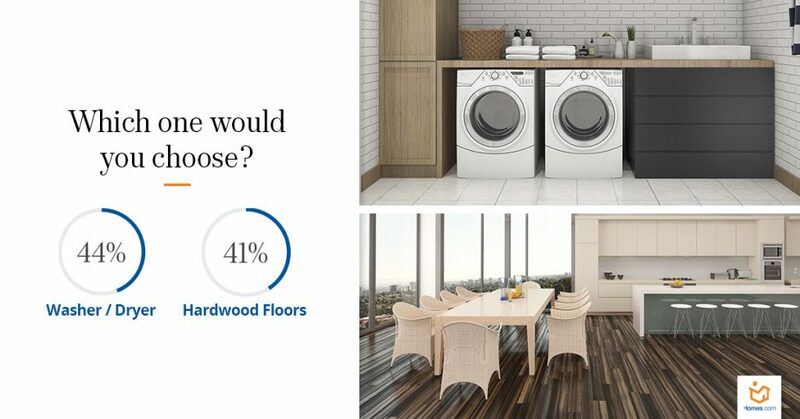 Thankfully with our open floor plan, we don’t have to choose because the kitchen and living room are essentially in the same space. 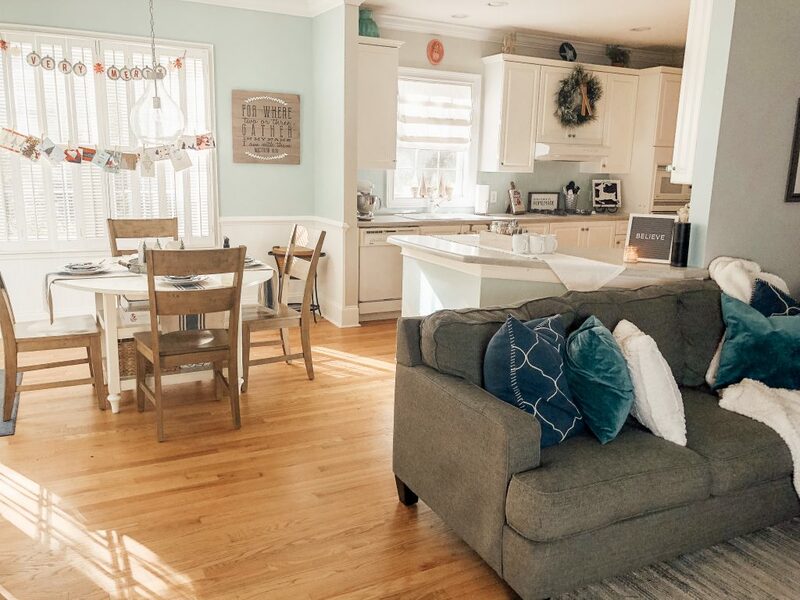 Our home has the best of both worlds, a kitchen and a living room that share the same space. Working from home definitely required that we have a designated space to hold everything I would need for blogging. 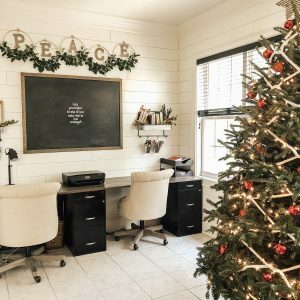 The recent update I did on my home office not only has provided tons of storage, but plenty of working space. Right off of the living room is my office. It’s also where we keep the Christmas tree so it’s out of the main living area, but still close enough to enjoy. The best part, my home office is just off the living room giving us additional space for guests to hang out. My office mate is quite pretty. Not being a huge fan of stairs, I wanted to keep everything on the first floor. This house definitely has that with one exception, we have a FROG (finished room over the garage). My girls call it their “Apartment” and has its own private stairway. Having a space separate from the main living actually turned out to be a great asset. The girls have a place to play with friends which allows the adults to have a kid free zone downstairs. We didn’t want any wasted space in our home or rooms we didn’t use. While we wanted to have a space for guests, we also didn’t want the room to sit empty more than it was used. Instead we opted to have a space that doubled as a guest room and a playroom for our kids. 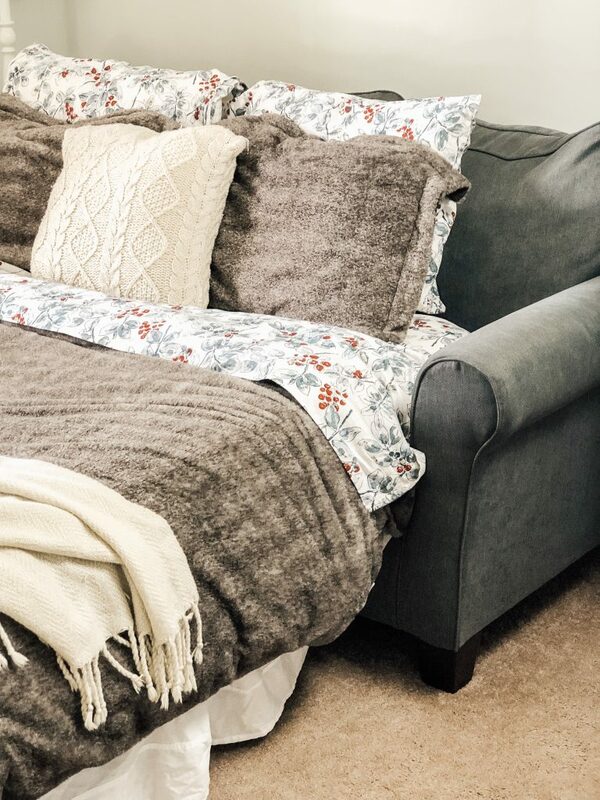 A super comfy pull out sofa is not only great for grandma when she comes to visit for Christmas, but is perfect for slumber parties. We use the closet to store all the toys when they’re not being played with. Pull out sofas have come a long way. 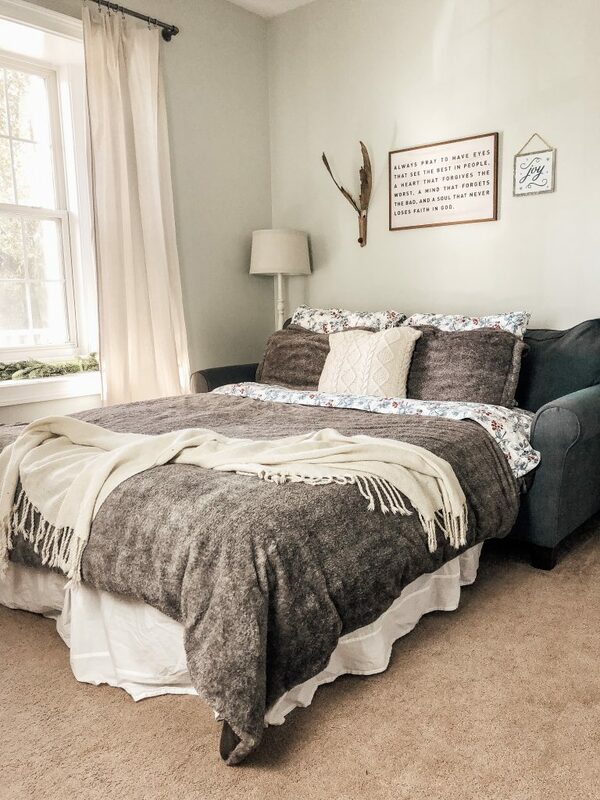 Adding a plush comforter and warm sheets is perfect for guests. 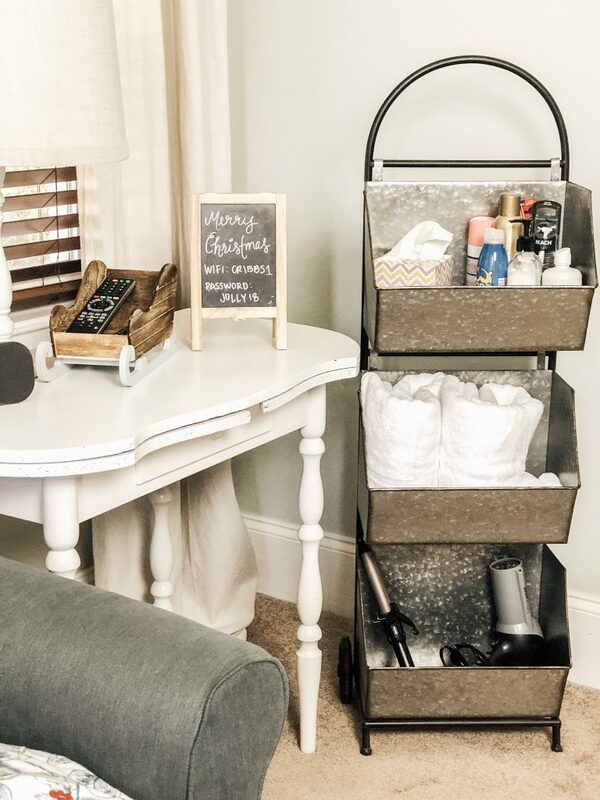 Guest room tip: We try to make our guests feel at home by offering them the wifi password and a basket filled with essentials like towels and other items they may need while they’re staying with us. Little touches can make your guests feel at home. Finding a home with all your “must haves” is ideal, but finding a home that has a lot of your “nice to haves” is magical! Once you find a home that hits on all of your must haves or as I call “deal breakers”, then it’s time to look at what else the home has to offer. 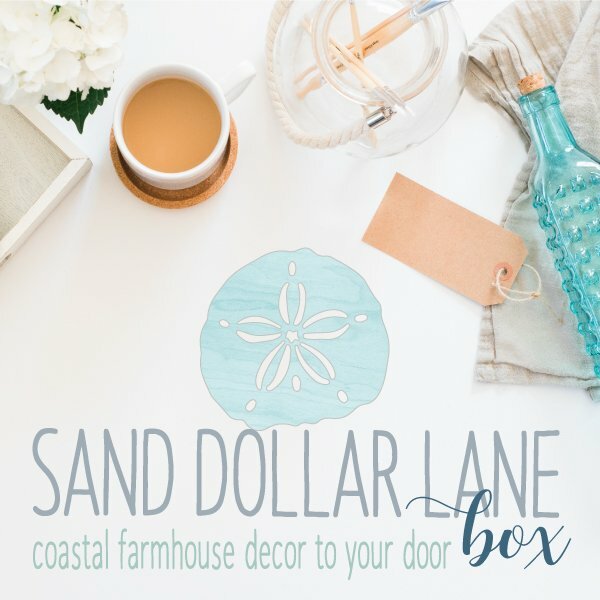 We found our list of “must haves” fell into the structural aspects of the home. While our “nice to haves” were more aesthetic in nature. Our previous homes mainly had carpet throughout and we always loved the idea of having a home with hardwood flooring. It wasn’t until we moved into our current home, which is mostly hardwood, that I realized what we had been missing out on all of those years. Hardwood floors were an unexpected favorite. Hardwood flooring is much easier to maintain and keep clean when compared to carpet, especially with three dogs and two kids. Not to mention having hardwoods makes hosting so much easier because spills are a lot easier to clean up on hardwood than it is with carpet. We’ve lived in houses where the laundry room was located in the basement, coming in from the garage, or just a small closet. I learned to make due, but I secretly hoped the next house would have an actual room with a door. I got my wish and as an added bonus, the sellers left their washer and dryer for us. The laundry room was actually one of the first spaces we updated. These two items were on our nice to have list and we lucked out with both! Searching for your perfect home can be overwhelming, but using Homes.com makes the process so much easier. The Homes.com search feature allows for you to find the home that best matches all of your “must have” and “nice to have” lists. No longer will you waste your time looking at homes that don’t even come close to being what you want. Allowing you to spend more time turning your home into the perfect space for every day and holiday entertaining. Head over to my Instagram account, @cribbsstyle where I will be hosting a giveaway with Homes.com @homesdotcom! 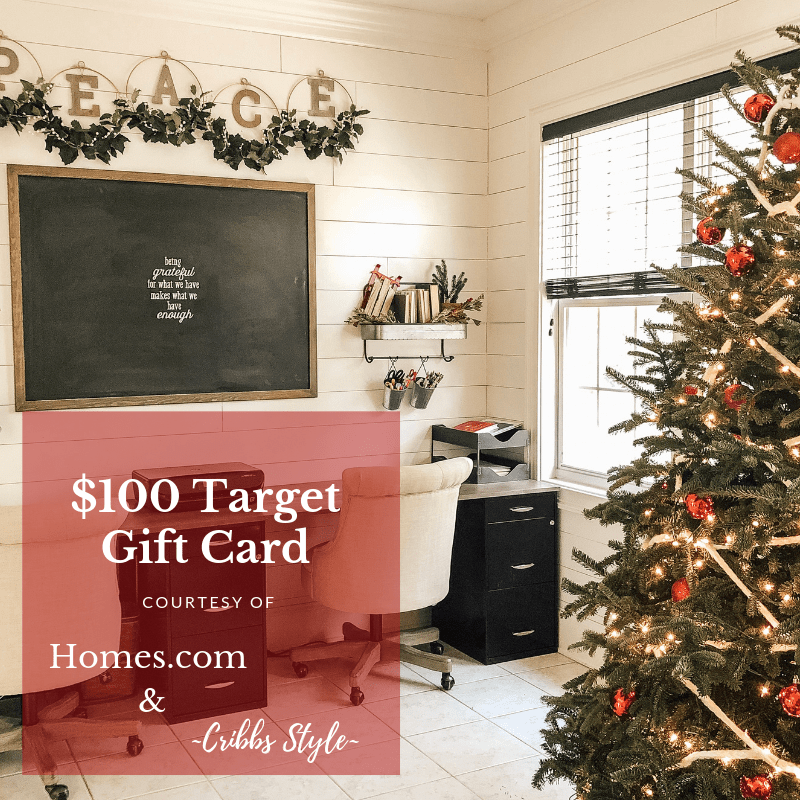 Head over to Instagram to enter for your chance to win a $100 gift card from Target!